Nestled on the cliffs of Jamaica’s emerald coast above a dazzling stretch of the Caribbean is the 150 suite Couples Sans Souci resort which beckons for you to surrender your mind, body and soul. 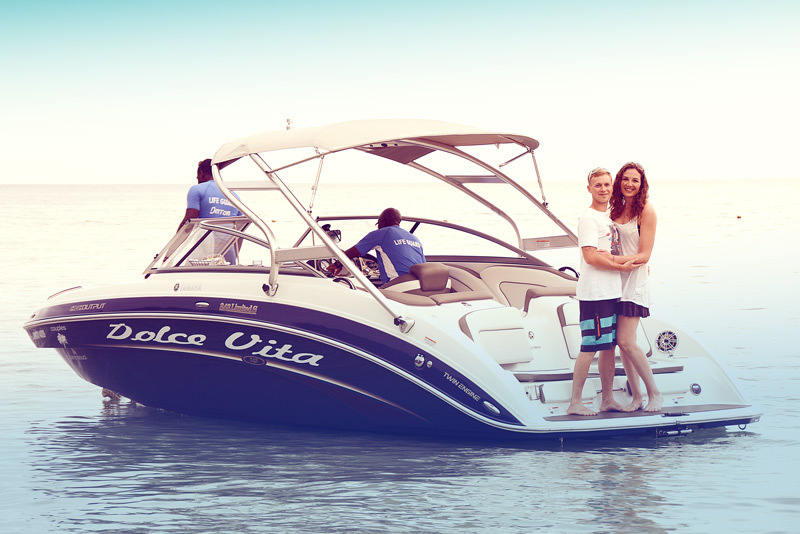 The newest addition to the glistening waters off Couples Sans Souci’s beach is the Dolce Vita speed boat. 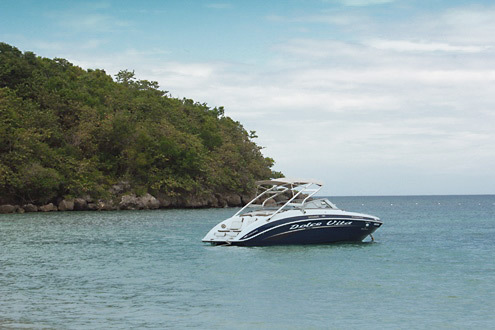 The boat’s name means the ‘sweet life’ and guests can choose from three different offshore adventures which will allow them to experience their own slice of the sweet life when next they book this Jamaican all inclusive resort. An 80 minute cruise that takes you along the coastline and includes a chilled bottle of Champagne accompanied with a fruit &cheese plate. A 90 minute cruise to a private snorkelling site to accompanied by ice cold Red Stripe beer and a Fruit &cheese plate. An 80 minute cruise that highlights the natural beauty of Ocho Rios and featuring our spectacular sunsets. Cruise also includes Champagne and a Fruit & Cheese plate. Ready to climb aboard and be swept away, just visit the Water Sports department at the resort and book a little sweet life of your own! Please note: The Dolce Vita accommodates a maximum of 6 guests and all cruisers will be accompanied by both a captain and a mate.